So I posted this yesterday, but some craziness happened and it somehow got deleted. 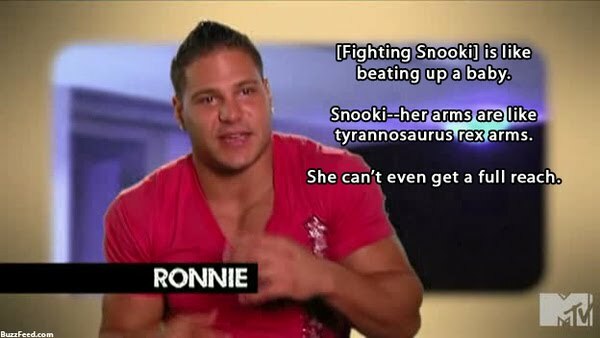 Anyway, I'd be lying if I said OMG I LOVE THE JERSEY SHORE I WATCHED EVERY EPISODE. Truth is- Teen Mom captured my heart this season and I don't have time to watch that much TV. What I did catch of this season- all of the absolutely ridiculous amazing quotes. And with the help of my most reliable website, I shall present to you my top 10 +1, because we all know you never pick just 10. 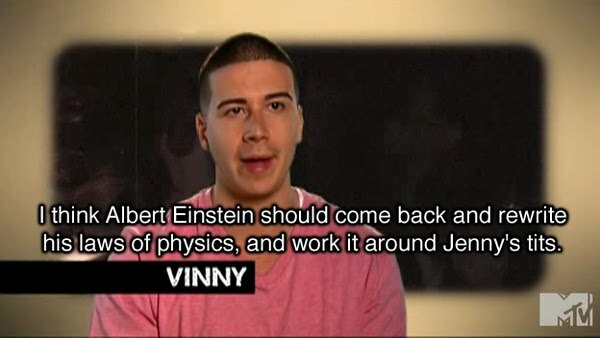 Thank you, people of Jersey Shore... for being so damn smart. Errr... entertaining.